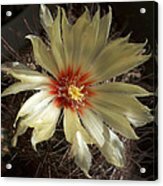 Queen duvet cover (88" x 88") featuring the image "Cactus Bloom" by Daniel Gale. Our soft microfiber duvet covers are hand sewn and include a hidden zipper for easy washing and assembly. Your selected image is printed on the top surface with a soft white surface underneath. All duvet covers are machine washable with cold water and a mild detergent. 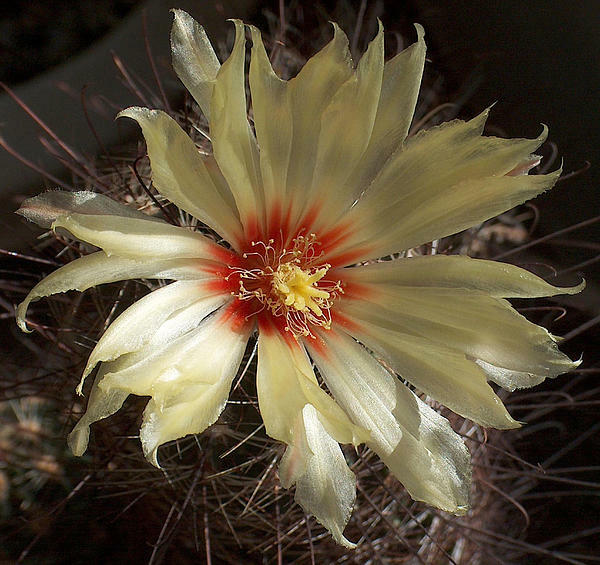 There are no comments for Cactus Bloom. Click here to post the first comment. 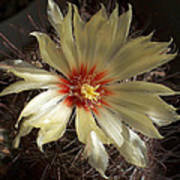 A photo taken in early morning light of a cactus in bloom. Dan Gale grew up near Parker City, Indiana and discovered his fascination with art in high school. He studied fine art at Ball State University, but went on to a career in technology with General Motors. He returned to his artistic paths in retirement and continues to photograph, paint, and draw in Sarasota, Florida.